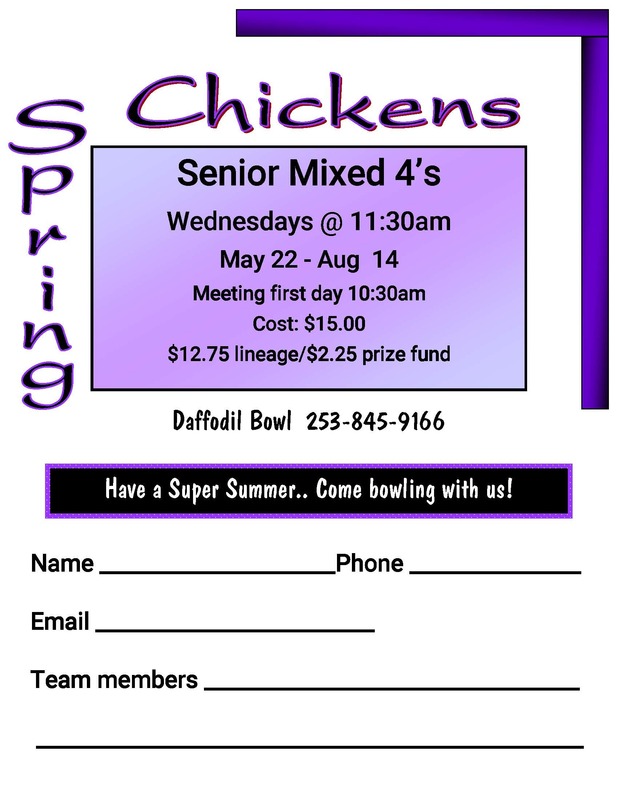 Bowling Leagues Are A Great Time At Daffodil Bowl! 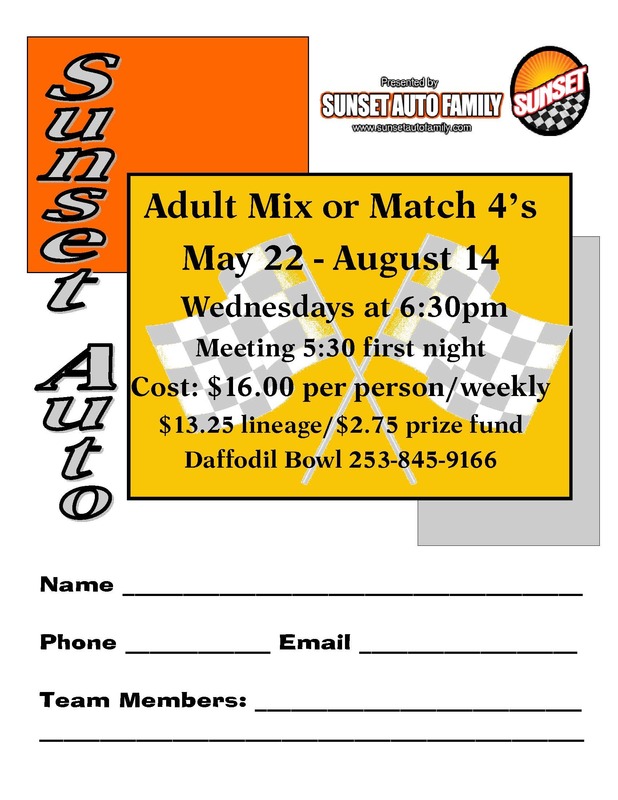 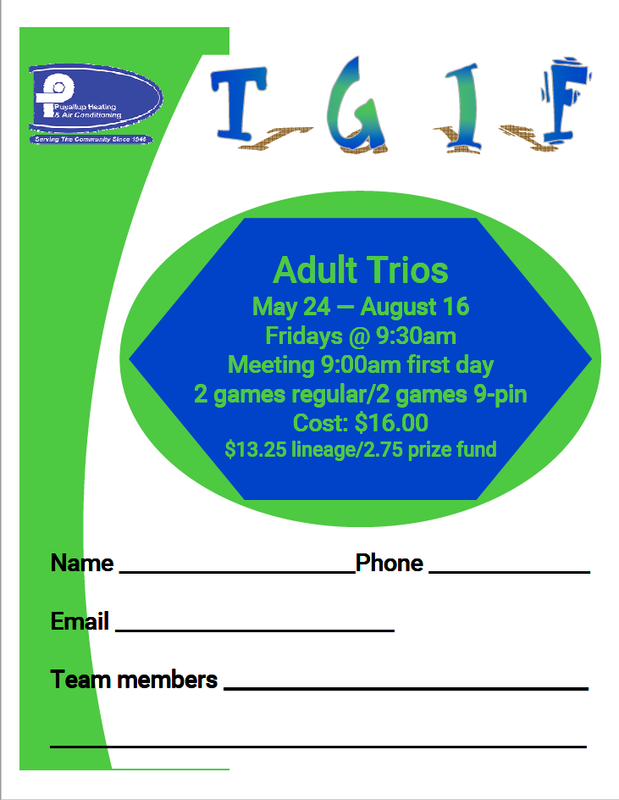 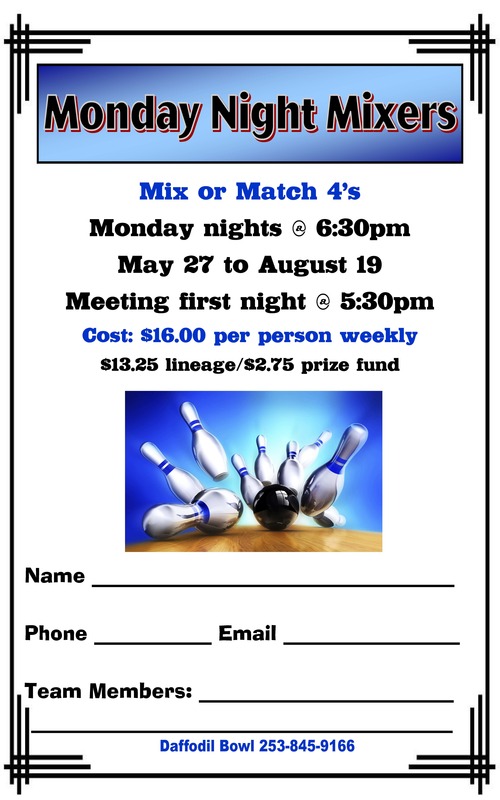 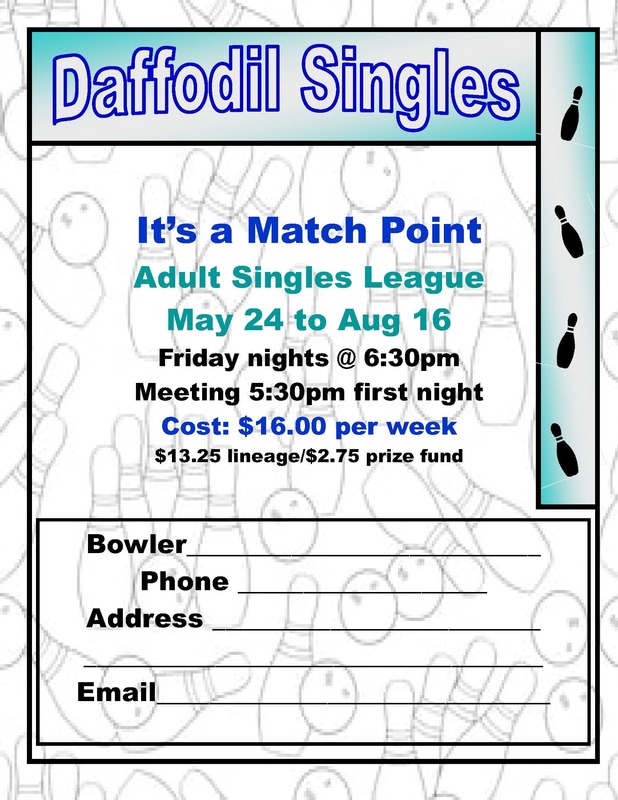 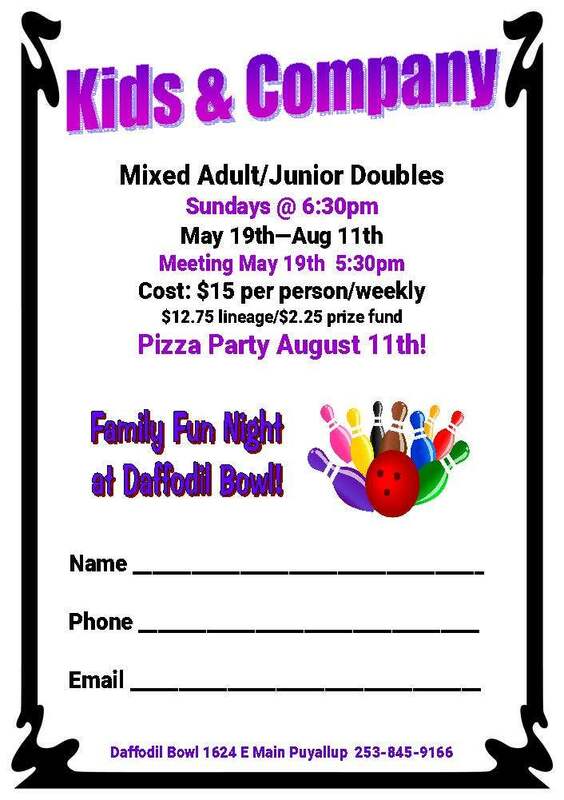 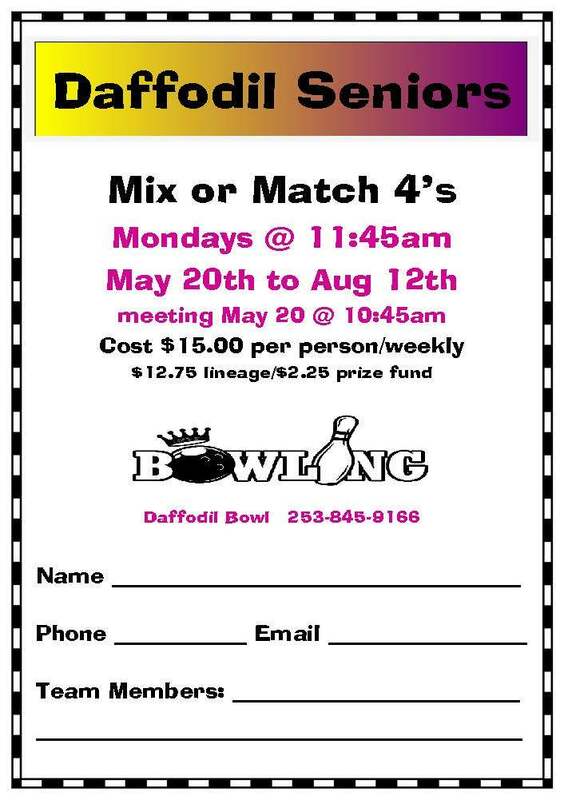 At Daffodil Bowl we have many different bowling leagues including traditional bowling leagues, different scoring methods like 9 Pin Tap (9 or more on your 1st Ball counts as a strike), or different premiums (some leagues have cash prizes and some have trophies and other awards). 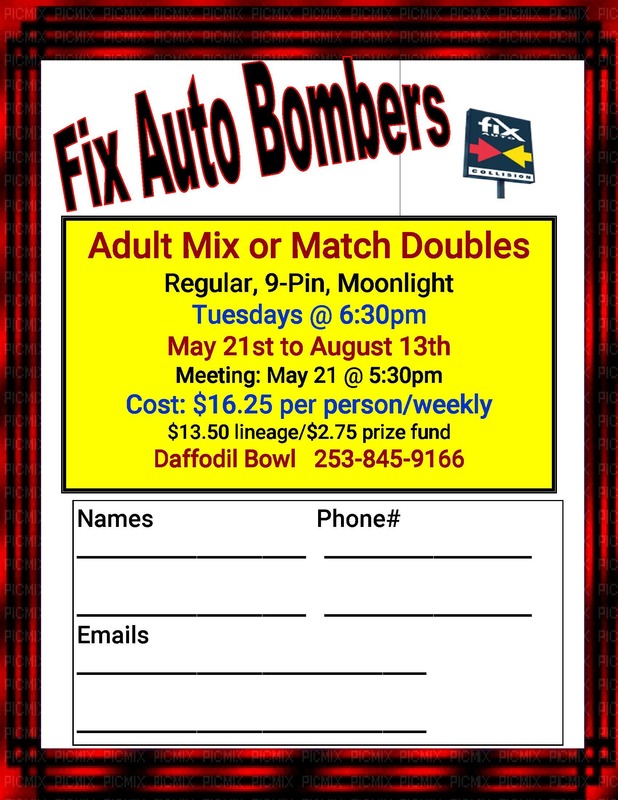 Sign up online for a league!